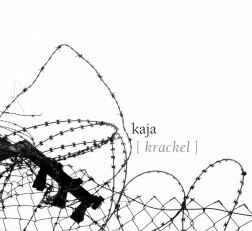 Kajas' first full length album released in 2007. Carefully wrought from two years of interplaying, Kajas first full-length album Krackel saw the light of day! There is magic, nerve and absolute presence when trio Kaja present their compositions with the musical language of Klezmer as the main ingredient. The music expands beyond conventional limits when Livet Nord, Camilla Åström and Daniel Wejdin let their previous musical experiences become a natural part of Kaja´s sound. Influences of Tango, Jazz and Balkan Folk music is some of the components in this “new klezmer” of Kaja. The result is young, innovative and absolutely fabulous music.